One of Jade Mountain’s breathtaking sanctuaries. 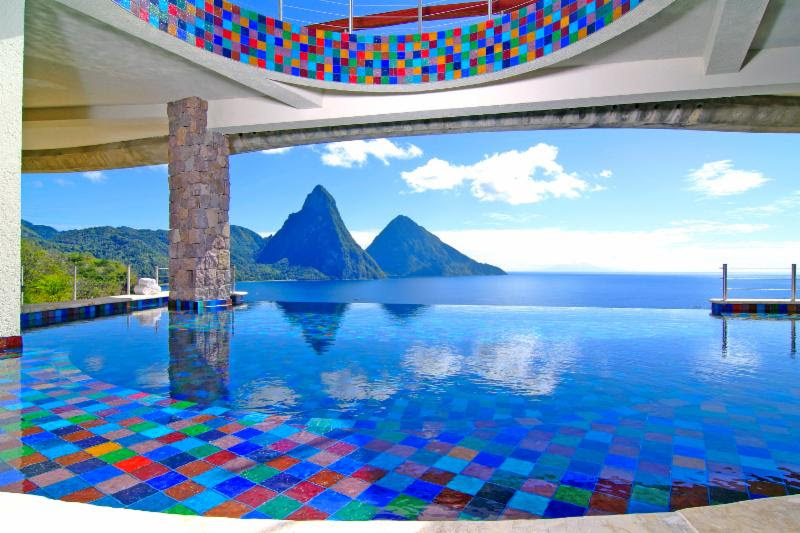 ST. LUCIA (July 8, 2015) – The influential travel magazine, Travel + Leisure, again announced St. Lucia’s Jade Mountain as one of the Top 100 Hotels in the World and Number One in the Caribbean. Jade Mountain’s latest recognition by the Travel + Leisure World’s Best Awards 2015 is the fourth time and third year in a row readers have cast top votes for St. Lucia’s storied resort. The magazine listed Jade Mountain as the number one Caribbean resort which defines the very best in travel. 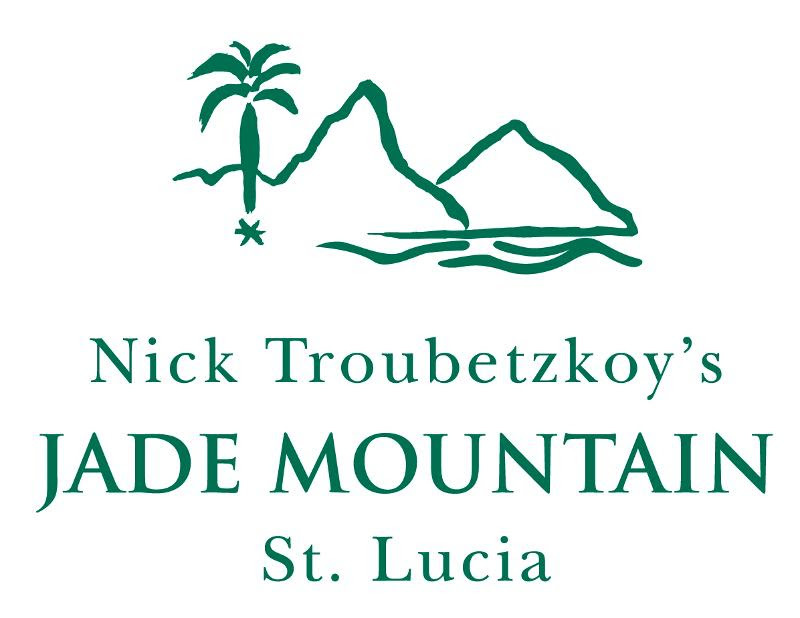 Much of Jade Mountain’s success can be attributed to the continuing direct involvement of owners Nick and Karolin Troubetzkoy in the daily operations of this privately-owned, independent resort. The couple’s passion and limitless enthusiasm inspire their resort team which includes major-domo butlers assigned to each guest to look after the resort experience around the clock from arrival to departure. And it doesn’t end at the resort. The Troubetzkoys are active in local and regional issues with Karolin at the helm of the St. Lucia Hotel and Tourism Association which comprises private sector players in the tourism sector. Next year, she will also take over the presidency of the Caribbean Hotel and Tourism Association which shapes regional policies for its greatest revenue earner, tourism. “It’s important for us to give back to our country and to our region, and these are just some of the ways we can contribute,” said Karolin, who is also involved in charity and community work. Nick Troubetzkoy, the resort chairman, architect and builder, started his love affair with St. Lucia and the Caribbean with the opening of Jade Mountain’s sister property, Anse Chastanet in the 1970s. His revolutionary architectural approach produced the stunningly bold and unique Jade Mountain which opened in early 2007 on its perch on a mountain top overlooking St. Lucia’s landmark twin Piton peaks glittering in the azure Caribbean Sea. There are 29 suites in total, which are called sanctuaries. In 24 of the sanctuaries, an extravagantly sized private infinity pool seems to be floating out into nature. Jade Mountain also runs an organic farm and there is an onsite chocolate laboratory making chocolate from its own estate grown cocoa trees. Guests have privileges at the adjoining sister resort Anse Chastanet with two beaches, additional restaurants and excellent resort activities including jungle biking, scuba diving, hiking and bird watching. The results of the Travel + Leisure World’s Best Awards 2015 are featured at http://www.travelandleisure.com/worlds-best and also, in the August issue of Travel + Leisure, available on newsstands later this month. For more information about Jade Mountain and Anse Chastanet , visit www.jademountain.com and www.ansechastanet.com.